A term grade point average (GPA) of 2.0 shall be used to determine satisfactory academic standing. Students who fall below this standard will be subject to institutional intervention strategies. A student is notified by the Vice President of Student Affairs of his or her academic warning, academic probation and academic suspension status when his/her term GPA falls below 2.0. Under performing students are encouraged to meet with their advisors to develop written strategies to improve their academic performance except when returning from academic suspension where the recommendation is a mandatory requirement. Students whose term GPA is less than 2.0 after the academic warning will be placed on academic probation for the next term of enrollment. Students whose term GPA is 2.0 or higher after the academic warning but have a program GPA less than 2.0 will remain on academic warning. Students whose term GPA is 2.0 or higher after the academic warning term and have a program GPA of 2.0 or higher will be removed from academic warning. Academic programs with additional academic requirements publish those requirements in the departmental handbook that is provided to students upon enrollment. Students whose term GPA is less than 2.0 after academic probation will be placed on academic suspension. Students whose term GPA is 2.0 or higher after the academic probation term but have a program GPA less than 2.0 will remain on academic probation. Students whose term GPA is 2.0 or higher after academic probation and have a program GPA of 2.0 or higher will be removed from academic probation. Students removed from academic suspension and allowed to register are placed on academic probation and are subject to academic suspension again if they fail to earn at least a 2.0 term GPA during the next period of enrollment. An academic week is defined as any period of seven consecutive days in which at least one day of regularly scheduled instruction or examination occurs. Instruction time does not include periods of orientation, counseling, homework, vacation or other activity not related to class preparation or examination. The add/drop period is the first five (5) instructional days of the fall, spring and summer full terms. The add/drop period for the FlexStart terms in the fall, spring and the summer is the first one-three (1-3) instructional days of the term depending on the length of the term. During the add/drop period students may drop courses without academic penalty and students may add only courses that have not yet met. Admittance to courses that have already met (including hybrid/mixtures and online) is at the discretion of the department chair. Students who register for a course but who do not attend a face-to-face class or log into and actively participate in an online course before the published deadline will be dropped from the course for not attending. No grade will be assigned for courses dropped for not attending and a full refund of tuition excluding the enrollment fee and any late fees will be processed. Courses dropped during the add/drop period will not appear on transcripts. Students may be reinstated in a class at the discretion of the department chair. A grade of “W” will be awarded and transcripted for classes dropped after the census date through the 75% date of the term. Students can drop classes online through Self Service or they can go to the Student Records Office to complete a drop form. A student or an instructor cannot initiate a drop during the last 25 percent of the course except in extenuating circumstances. Documentation must be provided to the Registrar and approval by the appropriate department chair or dean will be requested. Go to the SCC website, www.sccsc.edu/records to review the drop procedure for students. All students are encouraged to check their SCC email regularly for important reminders about drop deadlines and other important dates. Auditing a course allows a student to attend a course without receiving credit. Students may not change status (credit to audit or audit to credit) after the add/drop period. A grade of “AU” will be given to students auditing a course. Students who previously audited a course must register for and pass the course in order to receive credit for the course. Students may not receive credit by examination for previously audited courses. Students auditing a course pay the same fees as students taking the course for credit. Federal regulations stipulate that students cannot receive financial aid for courses being audited. Students are responsible for punctual and regular attendance in all classes, laboratories, clinicals, practica, internships, field trips and other class activities. When illness or other emergencies occur, the student is responsible for notifying instructors. Students should also inform the instructor in advance if they know they are going to miss class. Students must take responsibility for completing missed work if approved for late submission by instructors. Students should not expect that they will be allowed to make up work, such as quizzes or tests, after an absence. Instructors are not responsible for re-teaching materials students miss when they are absent. The College does not grant excused absences; therefore, students are urged to reserve their absences for emergencies. When illness or other emergencies occur, the student is responsible for notifying instructors and for completing missed work if approved for late submission by instructors. Attendance in an online course involves actively participating, as indicated by posting to an online discussion, submitting an assignment, taking an assessment, communicating with the instructor, or completing other activities as designated by the instructor. Students must have logged into and actively participated in the online course by the end of the drop/add period, as indicated by posting to an online discussion, submitting an assignment, taking an assessment, communicating with the instructor, or completing other activities as designated by the instructor. Students who fail to meet this attendance requirement by the end of the drop/add period will be dropped from the class by the instructor. Students are tardy if not in class at the time the class is scheduled to begin. Students who are tardy are admitted to class at the discretion of the instructor. Students are expected to be in class the entire class time. They should not enter late or leave early. Rare exceptions may be made, particularly in emergency circumstances, but students should be prepared to explain their tardiness to the instructor after class. Likewise, students should explain before class any need to leave early. Instructors maintain attendance records. However, it is the student’s responsibility to withdraw from a course. A student who stops attending class and fails to initiate a withdrawal will remain on the class roster. A student who does not complete an assignment, test, or final exam in the course will receive a zero for each missing grade and the final course grade will be calculated accordingly. Observance of religious holidays resulting in three or fewer consecutive absences: Discuss the situation with the instructor and provide written notice at least one week prior to the absence(s). Develop (in writing) an instructor-approved plan which outlines the make-up of activities and assignments. Observance of religious holidays resulting in four or more consecutive absences: Discuss the situation with the instructor and provide the instructor with written notice within the first 10 days of the academic term. Develop (in writing) an instructor-approved plan which outlines the make-up of activities and assignments. The student must provide documentation of deployment prior to being absent and request a proposal for making up assignments missed with his/her instructors while deployed. The student may receive a grade of Incomplete for the course if the faculty determine that the course content can be made up under the timeline and guidelines for incomplete grades. The student may be administratively withdrawn from the course with no penalty to the student if the deployment is too lengthy and it is unlikely that the student could successfully make up the missed course work. Students who drop a course after the add/drop period will receive a “W.” Students are responsible for dropping classes. Students who exceed absences are responsible for dropping classes or they will receive a grade of “F” for the class. It is the responsibility of the student to withdraw from courses. Failure to continue attending a course does not constitute proper procedure for dropping or withdrawing. An F will be assigned if a course is not dropped correctly. Students receiving financial aid should contact the financial aid office prior to dropping a course. Students may drop a course until 75 percent of the term has elapsed. Students are not allowed to drop courses after the drop deadline. Drop dates are posted in the records office, on the SCC website at www.sccsc.edu and on the student records department page in the SCC portal. Students may not normally enroll for more than 18 semester credit hours. Students who have a 3.0 GPA may enroll in more than 18 semester credit hours only with permission of the department chair and academic dean. During the summer, students may not enroll in more than 15 total semester credit hours unless specifically required in their academic program. This total includes all classes taken during all summer terms in a single year. Students who have a 3.0 GPA may enroll in more than 15 semester credit hours during the summer only with permission from the department chair and academic dean. have earned a grade point average of 3.50 with no course grade lower than a “C.” A grade of “I” automatically excludes students from the dean’s list. non-degree, early college and transient students are not eligible for the dean’s list. Course grades are final when entered into the database by the instructors. A student may request a review of a final grade if he or she believes the instructor erred in assigning the grade. The SCC records office will adjust the student’s transcript if the review confirms that an error was made. The student must request the review by the last day of the following full term. * Zero-level transitional studies course grades are not used in grade point average (GPA) computation. ** An “I” grade is given by an instructor when it is appropriate to allow a student the opportunity to complete required course work after the term has officially ended. An “I” grade may be given only when the instructor determines that unusual and extenuating circumstances beyond the student’s control prevented completion of the course during the term. A student receiving “I” grade should outline a plan for the submission of work with the instructor. The student must complete outstanding work at least one week prior to the last day of the next full term (fall, spring, summer) in order for the instructor to have adequate time to grade the work and submit the final grade before the deadline. The instructor must submit a grade change from “I” to a standard grade (A, B, C, D or F) by the end of the working day on the last day of the subsequent full semester. Otherwise, the “I” grade is changed automatically to an “F.” In some programs, students may be required to complete outstanding work in a shorter period of time to continue in the program. The date of the completion, in this case, is to be determined by the instructor and the records office will enter the date. Completion dates assigned are not to extend the past subsequent term. Multiply credit hours attempted by grade points* or quality points for course points. Add credit hours attempted for the total credit hours attempted. Add course points for total course points. Divide total course points by total credit hours attempted for GPA. If a student repeats a course, both grades will remain on the transcript. Only the highest grade obtained for the course will be used to calculate the grade point average. In determining satisfactory academic progress, the financial aid office must count all course work completed. A student may repeat a course but the repetitions will count toward the length of eligibility. Apply for and be accepted into the program in which he or she is applying for graduation. Complete all program course requirements in the applicable catalog. A student must complete a minimum of 25 percent of the total hours required in the program through instruction by the College. 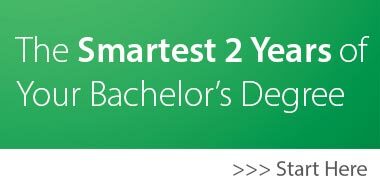 Earn a grade point average of at least 2.0 in the courses applicable toward graduation. Obtain graduation approval from the department chair or academic dean. The graduation ceremony is held once a year in May. Awards (degrees, diplomas, certificates) will be available for pick-up during advertised dates in the Student Records Office located in room 156 in the Dan L. Terhune Student Services Building. Awards that are not picked up will be mailed to the graduates. Graduation exercises are held after the end of spring semester. Students may apply for graduation during the term they intend to graduate. Students expecting to complete graduation requirements during the summer term should apply for summer graduation during the spring term in order to participate in graduation ceremonies. Students who complete graduation requirements in the fall semester may participate in graduation exercises the following spring. Graduation awards are available for graduates to pick up in the student records office. Dates for award availability will be posted on the school calendar. Awards are mailed to students who choose not to pick up the award during the advertised dates of distribution. Prospective graduates with a program GPA of 3.5 at the end of the term prior to graduation will be considered honor graduates. Students may complete multiple degree, diploma and certificate programs. Students earning more than one award in the same general field of study in the same semester will receive the award for the highest program level only. Classes are generally scheduled for 15 weeks in the fall and spring semesters and for either 9-10 weeks or 4-5 weeks during the summer semesters. The Transitional Studies Department offers developmental courses in writing, reading and mathematics. These courses are designed to help students acquire additional skills and discipline in order to be successful in curriculum courses. The department also offers non-degree credit courses, Elementary Algebra, College Skills and College Orientation courses to enhance students’ academic abilities. Courses are typically offered both day and evening. Many courses are offered in lecture, mixture and online formats. Students receive excellent instruction and support from instructors and are encouraged to visit the Tutorial Learning Center for additional assistance. Developmental courses are structured for students who score at or above the minimum entrance scores on college placement exams (ASSET, COMPASS, or ACCUPLACER) but below program entrance requirements. Developmental courses (courses with the number 031 and 032) carry institutional credit, but cannot be used to satisfy program requirements for graduation. Students who place into two or more developmental disciplines are required to take COL 103 - College Skills in place of COL 101 in their program of study. To move into curriculum programs, developmental courses must be completed with a grade of “C” or better. Non-degree credit courses are designed to help students further enhance their academic abilities. 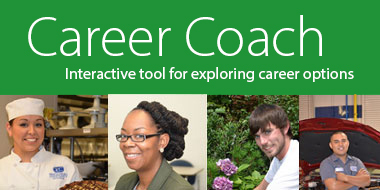 These courses serve as a “bridge” from developmental courses to curriculum courses. Non-degree credit courses have a course number of 100. Some students place directly into non-degree credit courses based on their college placement scores (COMPASS, ASSET or ACCUPLACER). These courses may or may not be credited toward graduation for a diploma or certificate program, but they cannot be credited toward graduation for a degree program. The Science Department offers non-degree credit courses in biology and chemistry for students who did not complete biology or chemistry with a grade of C or better in high school. Some students will need to take these courses to meet curriculum entry requirements. COL 103 - College Skills and COL 101 - College Orientation courses are designed to help students gain the skills needed to be successful college students. COL 101 is required in most programs of study. A student who wishes to withdraw from a term (all courses) should meet with his or her advisor. If the advisor is not available, the student should meet with the program department chair or academic dean. Students receiving financial aid should refer to Student Refund/Term Withdrawal/Federal Return of Funds in the College Costs section of this catalog. A student who drops all classes for a term will be marked term withdrawn by the database. Any applicant who requests a student visa, transfers from another college under a student visa or possesses a visa other than one approved by the College and the Student and Exchange Visitor Information System (SEVIS) is classified as an international student. An SCC Transfer Clearance Form if you are currently attending another college in the United States and wish to transfer to Spartanburg Community College. An official English translation of secondary and postsecondary records and transcripts. All international transcripts must be evaluated by an approved evaluation service and sent directly to Spartanburg Community College. A score report from Test of English as a Foreign Language (TOEFL) with a minimum score of 500 (paper exam) or 63 (internet exam). Original financial documentation as required by the U.S. government (certified or notarized bank letter on official bank stationary dated within the last three months in the amount of $20,292.00 USD). Affidavit of Support (Form I-134). Completion of Immigration Fee Remittance Form I-901 and payment of SEVIS fee. A tuition deposit to cover tuition and fee costs for 2 semesters. An I-20 will be completed and issued to the student by an admissions representative after the applicant completes the above requirements. South Carolina residents who are 60 years of age or older and who are not employed full time may enroll tuition free on a space available basis. The student must comply with all admission criteria to include enrollment restrictions in certain classes and all other standards set forth by the College. Senior citizen tuition waivers do not waive all fees. The student is responsible for the payment of all other fees assessed by the College at the time of registration as well as for the purchase of course materials, textbooks and supplies. Other fees include, but are not limited to, the application fee, enrollment fee, online course fee and lab fee. Fee waivers will only be considered for courses listed on the Senior Citizen Tuition Waiver form and only if processed during the senior citizen registration period which begins after the last payment purge each academic term. Senior citizens who register prior to the senior citizen registration period assume all financial liability for any course registration. Students using the tuition waiver may not be forced into a closed course section. Information about senior citizen waivers can be found in Students Records and the Business Office. Credit for Prior Learning (CPL) is a process whereby skills and knowledge earned outside a traditional classroom are evaluated for the purpose of awarding college credit. Types of learning included under CPL include exemption credit, articulated credit, and experiential learning. CPL does not include transfer of college level credits earned at other postsecondary institutions- information on transfer credit can be found in Procedure V-40.12. In order to receive a certificate/ diploma/degree from Spartanburg Community College (SCC) students must complete a minimum of twenty-five percent (25%) of the total hours of the certificate/diploma/degree through graded (A, B, C, D) instruction offered by the College. Students may earn CPL credit for up to but no more than 75% of their program. The amount of CPL credit that may be applied to a specific certificate/diploma/degree may be more restrictive depending on the program of study. The College grants CPL credit for program requirements as described below. 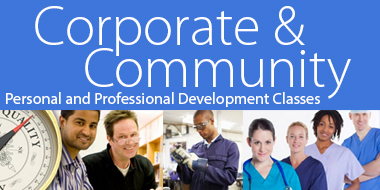 Corporate and Community Education - Students may receive CPL credit for certain courses successfully completed in the SCC Corporate and Community Education Division. Validation of student competencies may include written examinations, industry certifications, or other assessment methods. The College recognizes the American Council on Education College Credit Recommendation Service. The College will evaluate course work for exemption credit if the course content is comparable to the content of a program course or courses offered by the College. The student must present documentation of course completion through an American Council on Education approved agency before the College will evaluate the course work. Students may receive exemption credit for AP courses completed at the secondary level. The College awards exemption credit for AP Examination scores of 3 or higher. The College must have on file an official copy of the AP Examination score report to award credit. Students may receive exemption credit for program requirements through the validation of competencies gained at secondary schools. Students seeking exemption credit through TAP should contact the secondary school department head or counselor, or the College program department head. Validation of student competencies may include written examinations or other assessment methods. Credit for subjects in which students are knowledgeable can be gained through successful completion of the College Level Examination Program (CLEP) tests. Spartanburg Community College does not administer CLEP exams but will accept scores of CLEP exams administered by other institutions if scores meet minimum standards. SCC does not give credit for CLEP general examinations. Students may receive exemption credit for previous academic work or relevant work experience through formal written or practical examinations. Students may not attempt credit by examination for courses in which they have been previously enrolled (either for credit or audit) or in which they have previously attempted credit by examination. Students seeking exemption credit by examination should contact the program department chair of the area in which the student seeks credit who will determine eligibility, provide the authorization form, and schedule an exam date. After an exam date has been scheduled, the student should pay the appropriate fee at the Business Office. The student must present the authorization form and the receipt to the subject-area department chair in order to take the exam. Students may receive articulated credit for professional, industry-approved certifications. For each professional certification, the appropriate Department Chair will determine the SCC course equivalencies and corresponding certifications required for credit. The student must submit his/her original professional certification to the appropriate Department Chair. The Department Chair will complete the authorization form, attach a photocopy of the certification or credential, and submit it to the Records Office. Credit by Portfolio- Students may receive experiential learning credit for knowledge acquired through work or other experiences external to academics through development of a portfolio documenting those experiences. Credit by portfolio is limited to learning experiences in which no other CPL methods exist to validate the learning. Students seeking credit for experiential learning should contact their program department chair, who will determine the students’ eligibility and provide the authorization form. The department chair, in consultation with subject area faculty, determines the courses that are eligible for credit by portfolio and the requirements of the portfolio, which will vary according to each student’s individual experiences. The student must submit a proposal outlining the courses he/she wishes to earn credit for and the types of documentation he/she will present in the portfolio. Once the proposal has been accepted by the department chair, the student should pay the appropriate experiential learning fee at the Business Office. A teaching faculty member in the subject area in which credit is sought will evaluate the portfolio to determine whether the outcomes of the course(s) for which credit is sought have been documented. The authorization form and the receipt should be presented to the faculty providing the evaluation. Students may receive credit for a maximum of twenty-five percent (25%) of required program semester hours for experiential learning. Students (who are first time freshmen) may receive SCC credit for scores of 4 or higher on selected international baccalaureate examinations. The amount of college credit awarded for an IB course will be equivalent to the credit hour value of the college course for which the IB credit is being accepted. The College must have on file an official copy of the IB examination score report in order to award credit. Spartanburg Community College may choose to enroll both credit and Corporate and Community Education (CCE) students in the same course. Please contact the CCE office for additional information if you are enrolling in a credit course as a CCE student. Spartanburg Community College is a member of the Service Members Opportunity Colleges (SOC). Students having academic credit earned at other institutions while on active duty will have their credit evaluated on a case-by-case basis. No fee is charged to post credits to the transcript for exemption and articulated credits except credit by exam. Students attempting to earn exemption credit through credit by exam must be formally accepted by Spartanburg Community College and a pay $50 non-refundable fee for each exam. Students who wish to earn portfolio credit (experiential learning) must pay $50 per course portfolio reviewed. This is a non-refundable fee, even if the reviewer determines after reviewing the portfolio that the student is not eligible for credit.